On Thursday, Oct 19, David Cordaro spoke to Loras students and Dubuque community members about the pro-life movement. 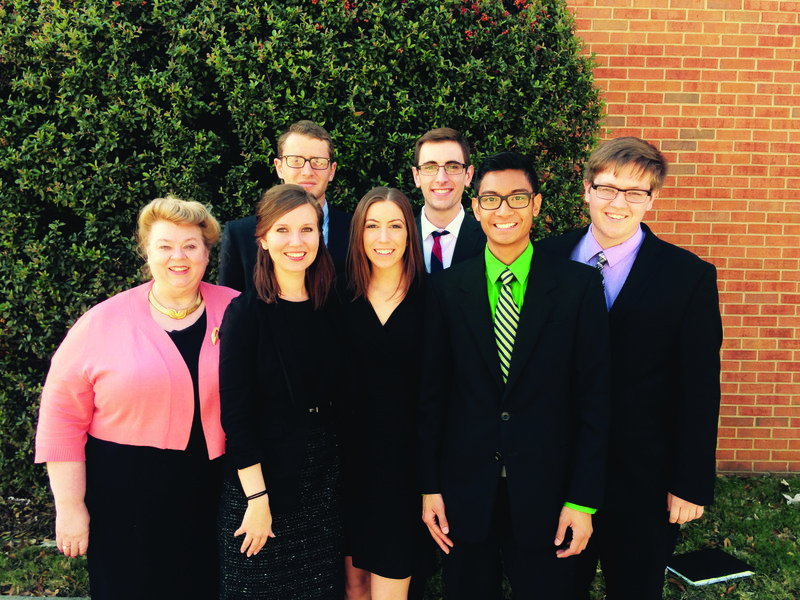 Cordaro is the Iowa-Illinois regional coordinator for Students for Life of America (SFLA), a pro-life organization that aids groups on college and university campuses across the country. The presentation began with a video introducing SFLA, which included witnesses from those who work for and with the organization. Cordaro opened his talk by asking the audience who inspires them and why. Answering his own question, he said many are inspired by those who respond well to controversy. “The ultimate measure of man is not where he stands in moments of comfort and convenience, but where he stands at times of challenge and controversy,” Cordaro said quoting Martin Luther King Jr. While Americans honor MLK’s legacy years later, he faced hatred during his time for standing up for the rights of the African American and minority communities in the U.S. Groups, such as SFLA, continue to face anger and disagreement with those with differing views. SFLA’s main focus is the opposition of abortion, euthanasia, and capital punishment. It began after the Roe vs. Wade court decision made abortion legal in America. However, many people do not realize that abortion is legal throughout all nine months of the pregnancy as declared after the Doe V. Bolton case, which was decided on the same day in 1973. Using the question of ‘When does life begin?’ Cordaro explained the stages of life to the audience. The 1945 UN Preamble sums up that our biggest unity is we are human, and to be human one must be distinct, whole, living, and have human parents. Since many do not believe life begins at conception, Cordaro used an analogy of a Polaroid camera. When someone first takes a picture using the camera, it looks brown. That person might get angry and throw it away. However, if he takes the time to let it develop, it will form into the full picture. From the moment the person snaps the picture everything is there; it just takes time to see the picture, this is similar to pre-birth. Cordaro also shared some surprising statistics. 53 percent of millennials oppose abortion in all or most circumstances and 63 percent of Americans oppose funding of abortions. Also, in Cook County, IL alone, 22,000 abortions are done a year. He even explained that the last time abortion clinics in Illinois were checked for sanitation was in 1999. While abortion is a controversial issue, Cordaro had some suggestions about how to address the issue. He encouraged everyone to listen to others when in dialogue instead of just talking back. Also, ask clarifying questions to better understand their side. Finding common ground is another important tactic as most people will have similar foundations even if they disagree on the specific topic. Finally, be nice and don’t be weird. There are many arguments against the pro-life movement. One in particular claims that being pro-choice is anti-woman. Finally, he proposed new rhetoric to use when discussing the issue. For example, instead of saying ‘unborn’ he suggested using ‘pre-born’ to enforce the concept that the fetus is alive. Cordaro finished his presentation by encouraging those present to consider attending the Chicago March for Life on Jan. 14 and the National March for Life in Washington D.C. on Jan. 19. For those interestsed in the March for Life or more information about Duhawks for Life, contact organization president Caitlin Hansen at caitlin.hansen@loras.edu. Ava Lalor is the Executive Copy Editor and Web Editor for The Lorian.